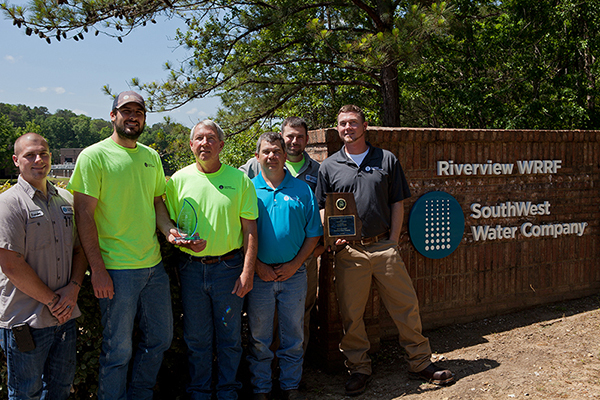 SouthWest Water Company (SWWC) has captured a top award for Outstanding Operation in 2017 of its Riverview wastewater treatment plant. The Riverview facility was awarded the “Best Operated Wastewater Plant” in 2017 in the Mechanical Plant 2.6-4.0 Million Gallons Per Day category. It was the facility’s second such award in as many years. 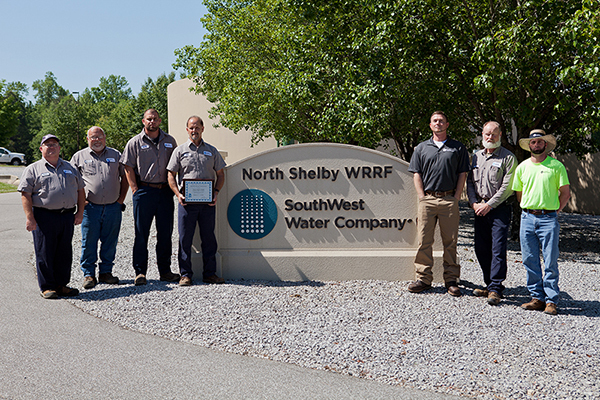 A Certificate of Recognition was also awarded to the North Shelby facility in the Mechanical Plant 2.6-4.0 MGD category and the Double Oak facility (now Shelby Ridge Utility Systems) in the Mechanical Plant 2.5 MGD category. All three systems serve residential and commercial customers in Shelby County, Alabama. The awards will be presented at the organization’s 73rd annual conference in September. “We are very excited and honored to receive these prestigious awards, which demonstrate the professionalism and expertise of our dedicated employees,” said Craig Sorensen, SWWC Managing Director.